I’d like to begin by confessing that I have never, ever liked vinegar. 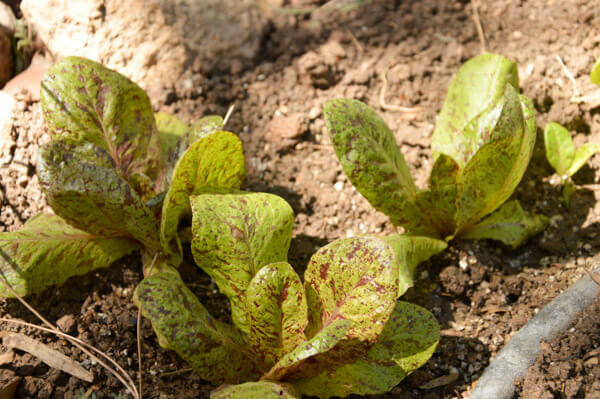 It doesn’t matter what it’s drizzled on, cooked with, sautéed in, or mixed with: I can’t stand the taste. To thoroughly entangle my metaphors, vinegar and I are like oil and water, divided and irreconcilable. 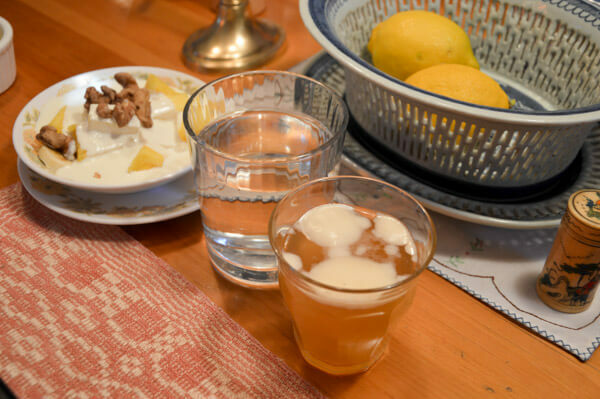 I have never, ever liked vinegar until I tasted Marnie’s homemade kombucha—the drink which literally changed the way I see fermentation and relate to the acidic smell of vinegar-flavored beverages. Marnie’s is smooth, a little bubbly, like champagne, with just the right amount of foam on top. It’s crisp, refreshing like fresh lemonade, sweet with just a hint of sour (I think that’s the vinegar). I’m in love. Even my dad, who I wouldn’t exactly call an adventurous eater, is sipping on his, too. “I’ll give you the recipe,” Marine says, rubbing her hands on her apron. 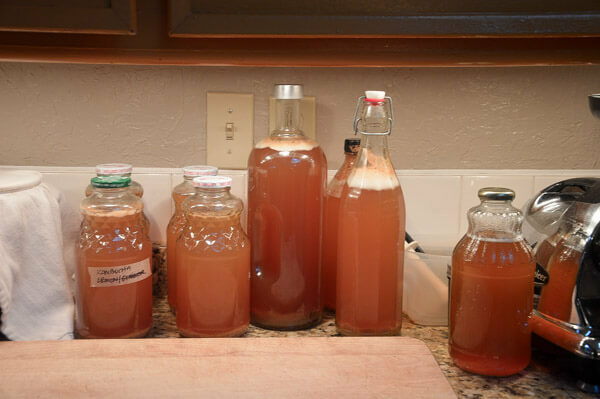 “Remind me after we eat—it’s really easy.” She nods toward the countertop, where she has placed a number of bottles filled with the fermenting tea. Each bottle is covered with a cloth that has holed poked into it. “It’s to let air in,” she tells me. I’m not surprised to hear this, as the chickens have been active since the early morning, running around in their beautifully crafted coop and greeting the morning with quiet clucks and shakes of their feathers. (Don’t worry—there are no roosters, only hens, so nobody will wake you up in the morning!). I love the feeling of waking up next to chickens, as it reminds me to feel the blessings of being closer to nature in this beautiful town next to these magnificent mountains. We’ve been here for one night, having arrived at dusk the night before from Sedona, where we stayed in adorable a-line chalets right beneath the red rocks. When we arrived, Steve and Marnie were ready and waiting for us, wanting to greet us in person and take us on a night tour of the property and the Studio Suite. They showed us the two-bedroom suite, asked us when we’d like breakfast in the morning, and told us everything would be hot and ready when we woke up. They recommended their favorite Italian restaurant a few miles away—an extraordinary place called Fat Olives—which specializes in making fresh mozzarella, fior di latte, every day and shipping in fresh-cut prosciutto every week from Italy. (They even imported a hand-crafted oven, made by the Valoriani family in Naples, to cook their pizzas with). That’s perhaps the most extraordinary aspect of Steve and Marnie’s B&B: their guests are literally their guests. The Studio Suite (there is only one) is a small standalone house in the backyard behind their main living quarters. 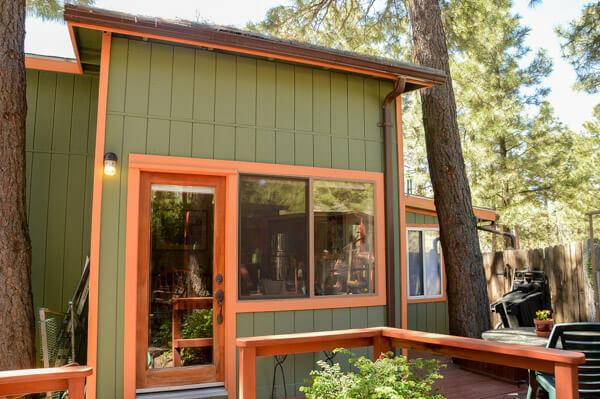 The cottage is private and shaded, has its own entrance and exit, and even has its own private entrance to the backyard, which is at the base of Elden Trails hiking trails. Though you do have to walk through their garage to get to your car, it doesn’t feel like an inconvenience at all—it feels comfortable, easy…like you’re staying in a good friend’s guest house and only seeing them in the mornings to share breakfast together. Because there is only one studio suite on their property, you’ll get what might be the kindest, most attentive service of your life: fresh towels, fresh raw goat’s milk soap in the bathroom, fresh herbs and vegetables from their organic greenhouse and garden, hot breakfast whenever and wherever you’d like, two hosts who want to hear about your lives and want to share all of their favorite Flagstaff recommendations with you, clucking chickens, a very fuzzy cat, and an extremely sweet dog. And here we are, all dining together like we’ve known each other for ages. 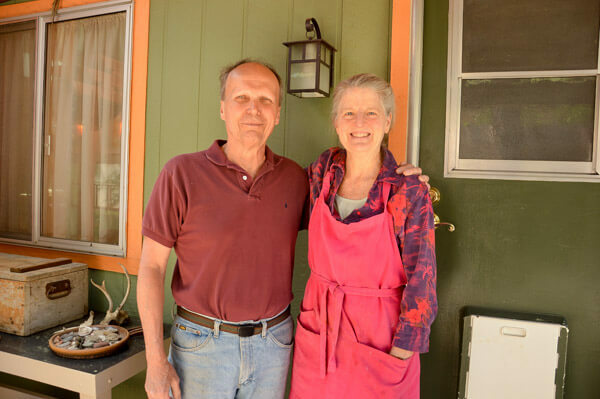 As we eat (I’ll get to the absolutely delectable menu in a minute), they tell us about their lives, how they ended up in Flagstaff, and what their dreams and hopes are for the future. 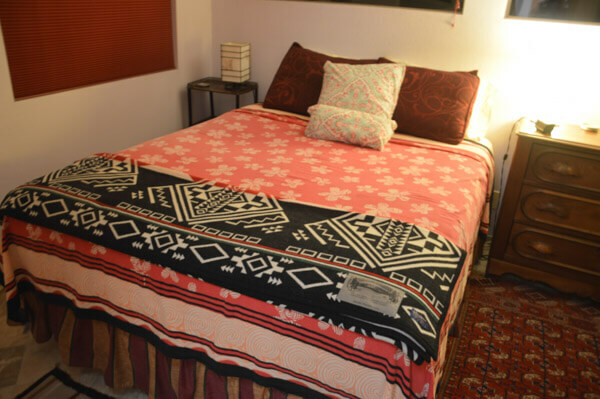 They tell us they’ve been hosting guests for the past few years after realizing that they could literally turn their guest cottage into a place where couples, families, friends, and even honeymooners could come, relax, eat fresh, organic food, and spend time together hiking the mountains, visiting downtown Flagstaff, or even taking the hour and a half drive to the Grand Canyon. As you can probably imagine, we didn’t just visit Flagstaff and stay in a nice bed and breakfast. We visited Flagstaff, and we left with two new friends. Now that’s the way to travel. 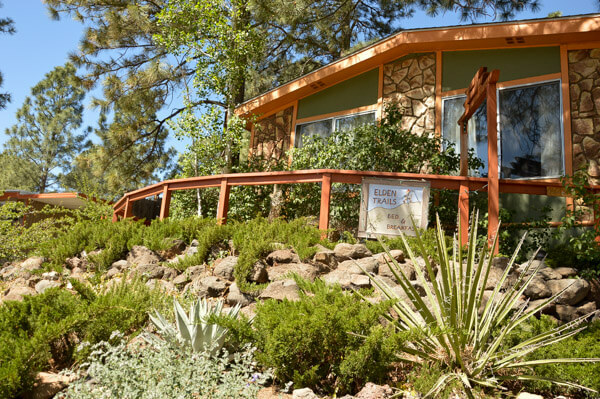 Elden Trails B&B’s rates for the summer season are $135/night for two guests during the week and $155/night for two guests during the weekend (and YES, this price includes breakfast!). Additional guests (up to two) can stay for $35/per person per night. Pets are also allowed for $20/night! You can check out their website or contact them at the above phone number. 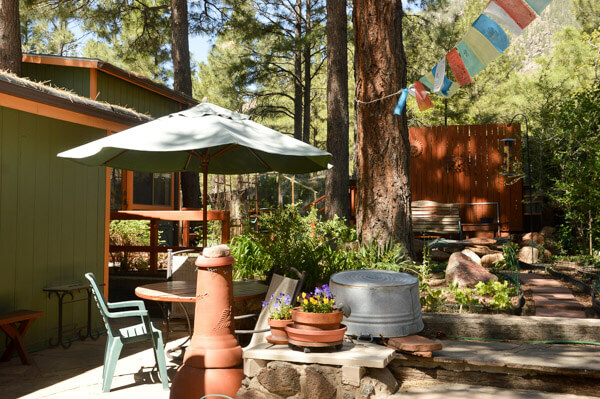 A special thanks to Steve and Marnie for hosting our stay at Elden Trails B&B in Flagstaff. Our stay was everything you said and more (have to mention that crisp fresh mountain air)! Thanks to our hosts. A great stay in a great B&B.